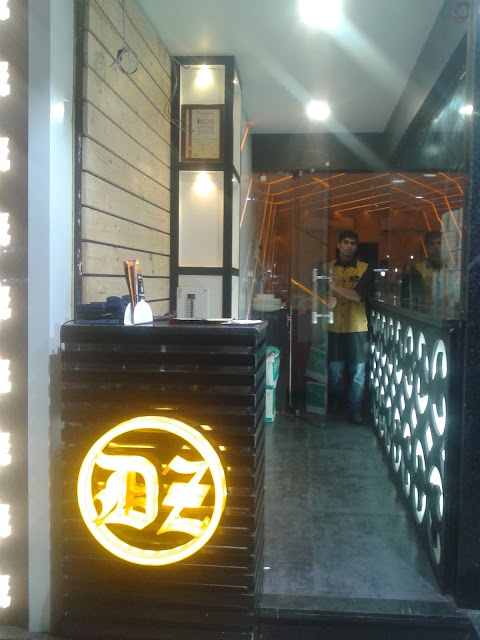 A few weeks ago I was invited to review the Delhi Zaika Restaurant in Bandra West. Come experience the taste and flavors of Asli Delhi straight from the streets of Jama Masjid and Naizamuddin. One look at the their menu card and I had decided that there was no chance I could afford to miss this place. 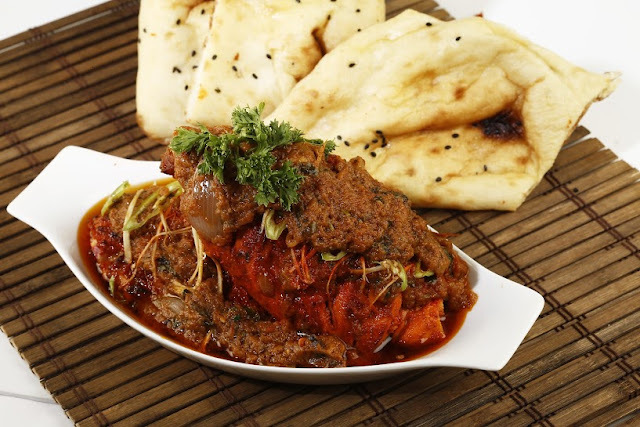 Delhi Zaika in Bandra is their fourth branch in Mumbai after Grant Road, Kurla and Mumbra. 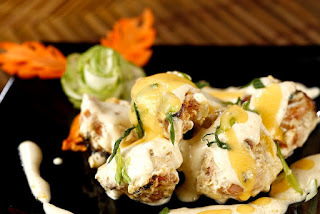 Situated bang opposite Bandra BEST Depot, this is a compact little restaurant with a cozy ambiance. 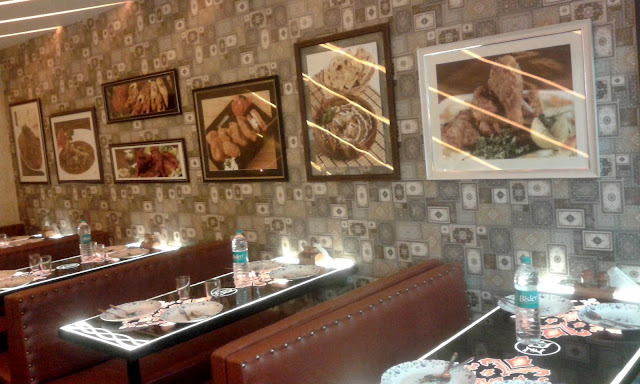 We were comfortably seated in a comfy corner and oriented with the overall set up of Delhi Zaika. We were told that the food that is served at Delhi Zaika is influenced by the famous Delhi street food served outside Jama Masjid and Nizamuddin road. All the spices used in the preparation of the delicacies are sourced specially from Delhi and that is how they achieve the authentic Delhi wala tadka in their food. We ordered for the Jeera Soda, which was quite refreshing and perfect to start our meal. It was a packaged bottle. I felt that they had limited options as far as welcome drinks were concerned. We were served the Malai Chicken Tikka, the Kali Mirch Chiken Tikka and Barra Chicken Tandoori apart from the Paneer Tikka. The Malai tikka, came dipped in Malai and the Kali Mirch Tikka and Barra Chicken Tandoori were doused with generous amounts of melted butter, which gave it a very appetizing look and authentic street food taste. When I looked worried at seeing the amount of butter and malai on my plate, the owner consoled me saying they only use Nutrilite Butter, which helps make their dishes comparatively healthier without compromising on the taste. The starters had almost filled us up and we couldn't even finish the complete platter. Though I wanted to order Roti, the owner of Delhi Zaika insisted that we try their special Naan, which is unlike the regular naans we get at other places. He told us that they used a butter like substance called khameer in the naan dough which makes it extremely soft and we can break the naan into pieces without much effort. He also told us that we should try their most popular and signature dish, Chicken Changezi. But I was too keen to order Nalli Nihari, coz I had already sampled three chicken dishes. We also ordered the Dal Tadka for company. First things first, their Naan is something I haven't tasted ever in my life. It is soft, delicious and very very fluffy. I didn't know, something called khameer could make such a huge difference to something as simple as Naan, which we have been eating all our lives. 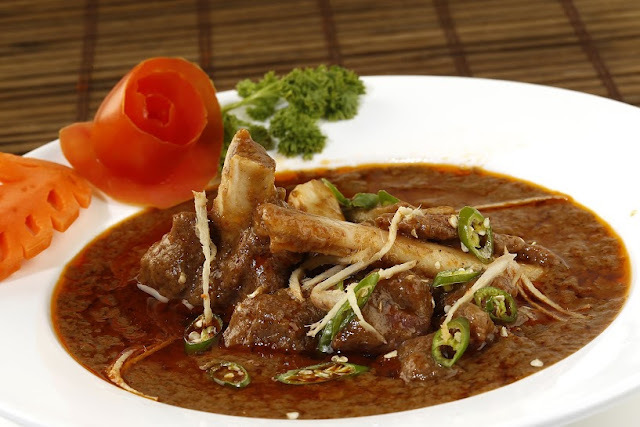 The Nalli Nihari was cooked and spiced to perfection. The most common complaint I have with restaurants serving mutton dishes is that the meat is not cooked well. But this was just perfect. The meat was well flavored and so well cooked that it almost melted in my mouth. If I have to mention one flip side, it would be that I like mutton a bit spicier, and this one was not too spicy. But believe me I was so happy I ordered this dish. The Dal Tadka was surprise winner. It tasted so much better than most dal tadka's I have tasted. 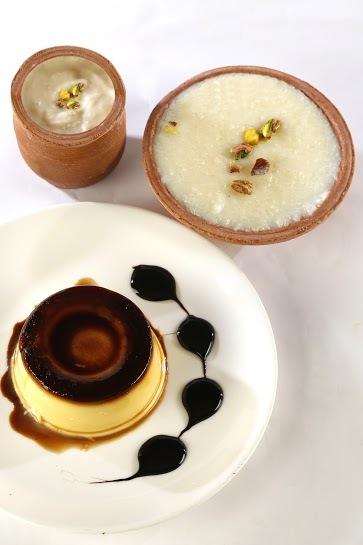 Though the owner wanted us to sample their special Biryani, we were too stuffed for the day, and decided we would move straight to dessert. We ordered the Matka Rabdi and BOY!! !...we were drowned in the creaminess and richness of the humble rabdi served in clay matkas. No wonder this place is always crowded and if you want to avoid waiting for a seat in this restaurant, make sure you reach here by 7.30 pm for dinner. Delhi Zaika also does free home delivery within Bandra for a minimum order of Rs.250 and accepts catering orders as well. 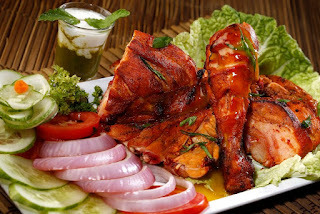 The food is of good quality and made with the most authentic spices specially brought in from Delhi. The meat is cooked to perfection with the right amount of spices. I like that you have to option to order smaller portions like quarter, half and full depending upon your appetite. Priced reasonably, a meal for two costs under Rs. 1,000, which is excellent considering the quality, flavor and taste of the food. The ambiance of the restaurant is vibrant but is a little compact. However, the food makes up for all. I would rate this restaurant 4/5. All in all, I loved everything I sampled at Delhi Zaika and I insist that you try it at least once. P.S. We were invited to sample the food for free, but the opinions expressed are completely mine.